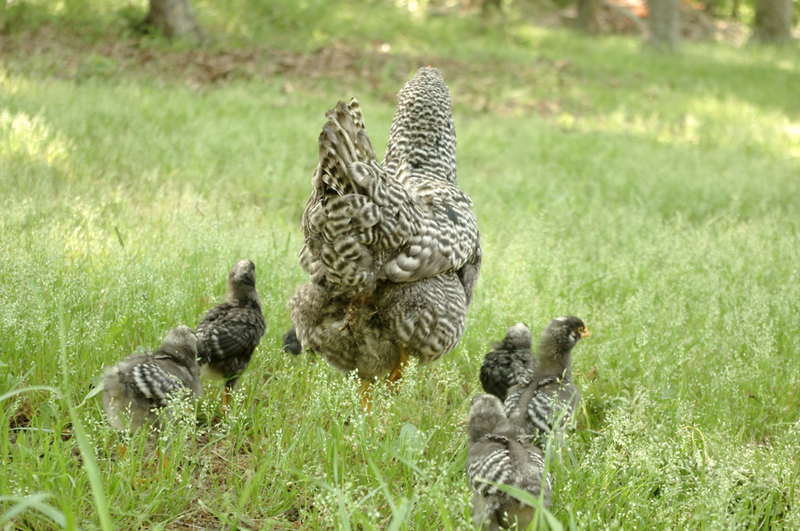 I am the proud mama to a small flock of chickens that we started raising in our backyard about 7 years ago. 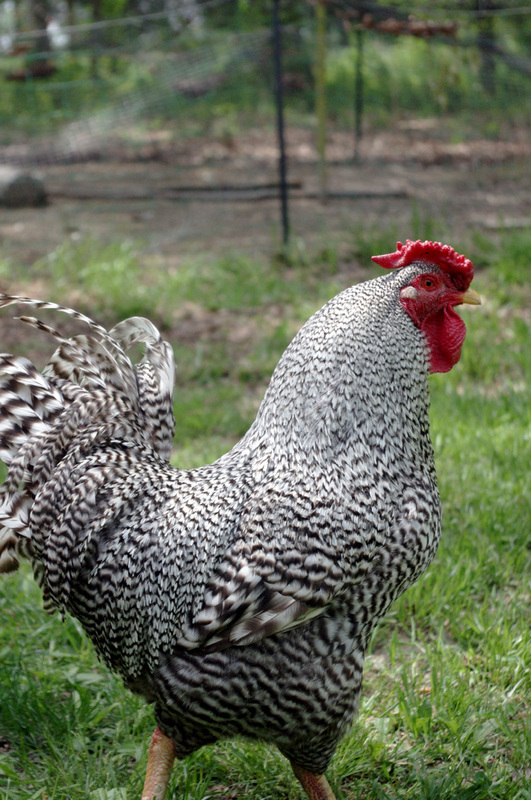 We LOVE our chickens--I can't say enough about how much fun they are to keep! 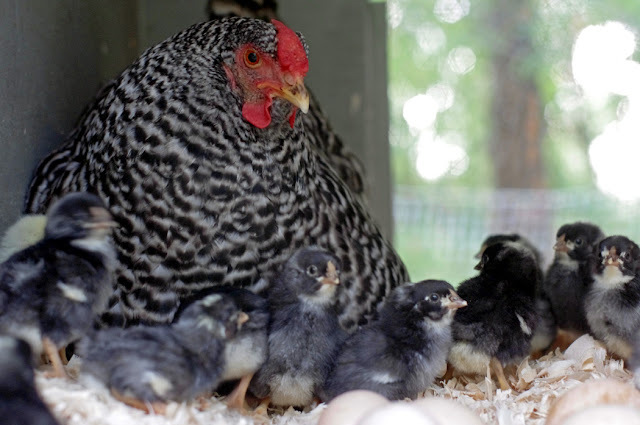 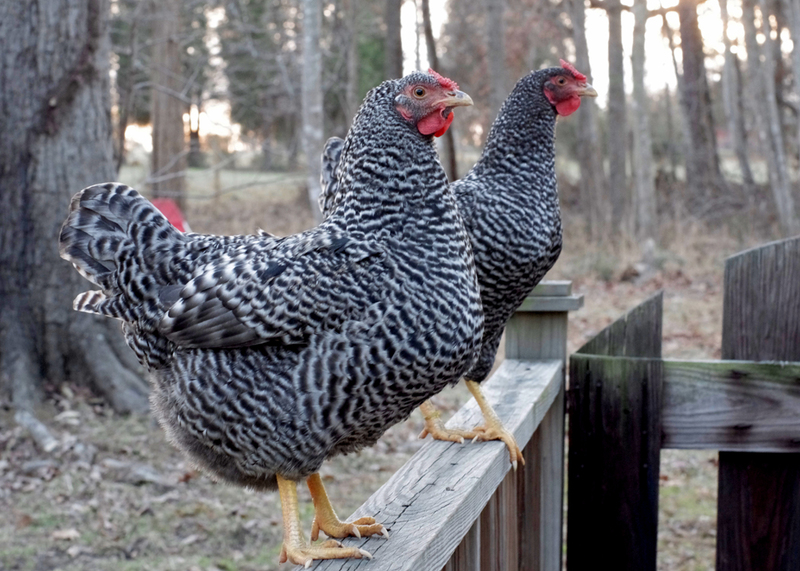 In addition to entertaining us with their little quirks and personalities, they earn their keep by providing us with hormone-free fresh eggs, keeping our yard nearly bug-free, and naturally fertilizing the lawn and garden. We have a small coop with an attached pen for our chickens and we allow them out to 'free range' whenever we are home during the day or when we get home from work, or sometimes while we are gone depending on how much they've been out lately. 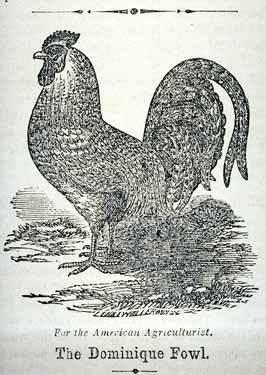 We raise and breed American Dominiques--a perfect homestead bird! 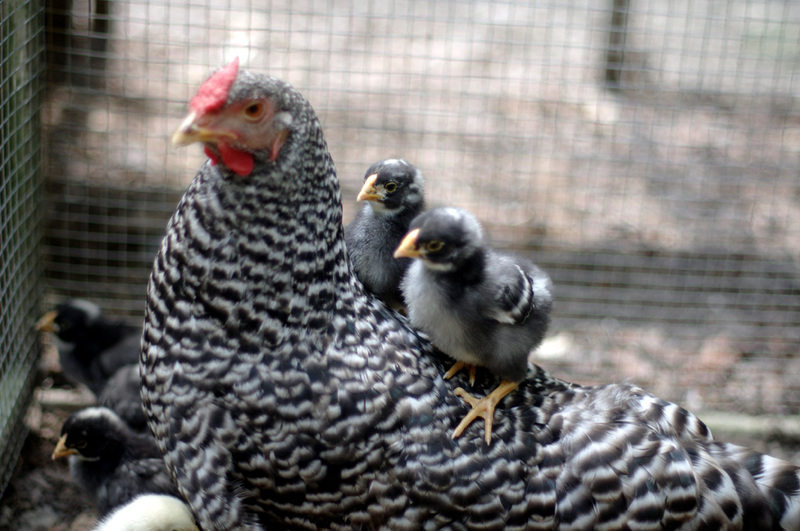 When we first started our flock, we named each chicken, became very attached and of course heartbroken each time we lost a bird to a predator, illness, or attack of some kind. 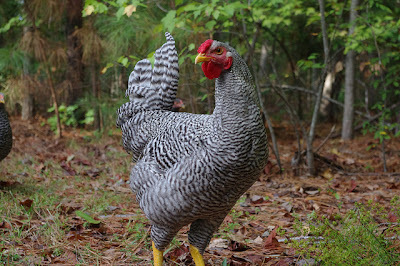 Over the years we have acquired new Dominiques either through breeding our own or purchasing chicks or hatching eggs from friends that are reputable Dominique breeders. 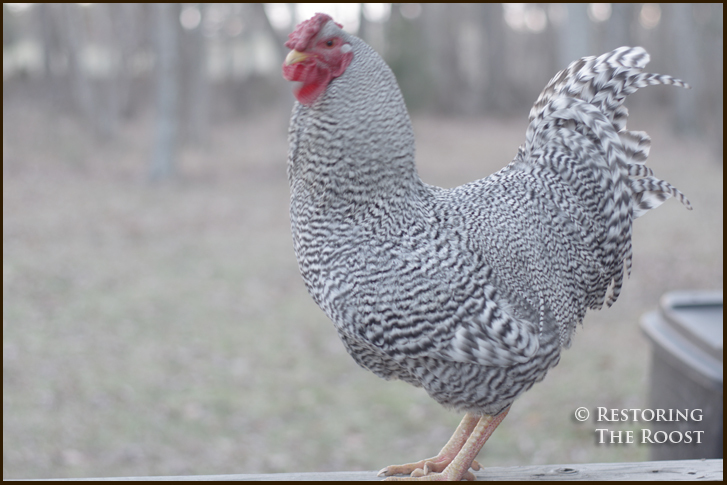 As you can see, I'll talk about my little chickies all day, so if you have questions about keeping chickens or would like to chat, don't hesitate to contact me!